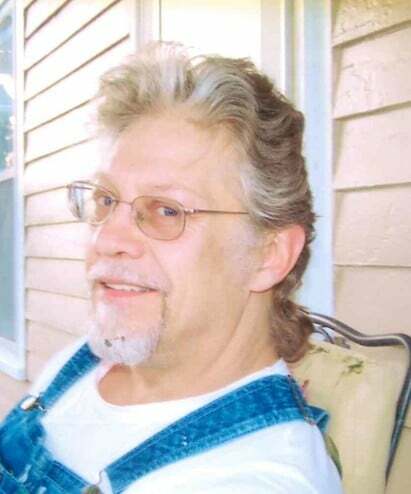 James Michael “Mike” Taylor, 67, of Independence, Missouri passed away Friday, April 5, 2019, in Independence, Mo. He was born January 21, 1952 in Independence Mo, to Maxine and Orville Taylor. Mike is survived by his two sons, James “Jim” Michael Taylor of Pleasant Hill, Missouri and Steven Scott Taylor of Independence, Missouri, three sisters, Shirley Taylor, Vickie Meyers, and Sharon Arel, six grandchildren, Hope White, Taylor Cumpton, Alexis and Aidan Johnston-Payes, and, Carina and Colton Taylor and several several nieces, nephews, cousins, and lifelong friends. Mike is preceded in death by his parents, and brother; Duane Taylor. Mike was a long-time resident of his childhood home, Independence, Missouri and also Raytown, Missouri. He graduated from William Chrisman High School and was an avid ROTC member during his high school years. Mike also was a Boy Scout Troop Leader to Troop 341 where his sons, Jim and Steven enjoyed many memories made along side their Dad. Mike was a hard worker, friend to many, loving father, grandfather and quick to give you a hard time, followed by a belly laugh, and a wink. He enjoyed being outdoors, doing things with his grandchildren, watching movies, and riding his bike on the open highway. Mike’s smile, gentle touch, quick wit, and extraordinary beauty of the simple human heart will be missed by us all. A memorial service will be held from 1-4 pm, April 20, 2019 at The Mike Onka Memorial Hall, 11520 Putnam Street, Sugar Creek, MO 64054. Steve, Carol, so sorry for your loss!! So sorry for the entire family loss. Mike was definitely.one of a kind. We will forever remember your life lessons and motorcycle stories! Mike has been around our family for many many many years. We will all miss him. Prayers to you all. Our family will never forget the memories we made with uncle Mike. His words of affirmation were both humbling and the truest evidence of his love for his family. I can’t tell you how many times over the last two weeks I’ve wanted to pick up the phone and call you, tell you something that happened or just talk. Countless things to be shared, and so many more than that which I am going to miss. Jack Hanna, the movies, cooking and discovering new foods I would never have tried on my own.. the way you would start singing at the top of your lungs in the truck; the list is endless. Thank you for the joy you put back in my life and the love you gave. You are loved.. and missed.